The heart of the NASA Center for Climate Simulation (NCCS) is the “Discover” supercomputer. 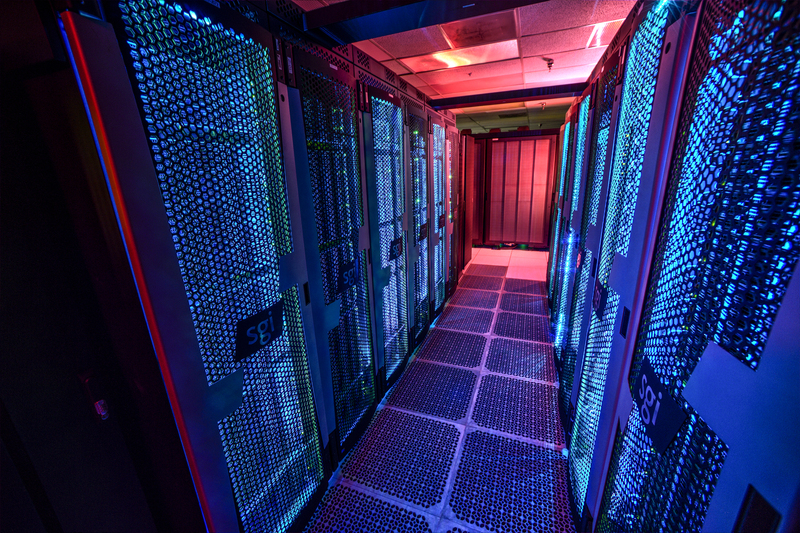 In spring 2016, the NCCS supercomputer had 90,336 processor cores and a peak speed of 3.478 petfalops (one thousand trillion floating-point operations per second). The newest units of Discover at that time were SGI Rackable clusters housing a total of 81,954 processor cores. Discover-hosted simulations span time scales from days (weather prediction) to seasons and years (short-term climate prediction) to decades and centuries (climate change projection). Credit: Photo by NASA/Goddard/Bill Hrybyk.